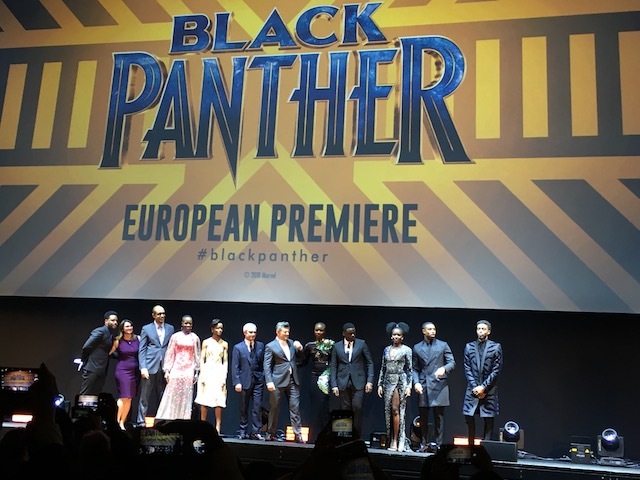 If you are wondering what the fuss is all about the latest Marvel flick Black Panther well then imagine the best and funniest car chases ever seen on the big screen, over the top storylines, unapologetically black black black, gorgeous actors and actresses and incredible performances. Marvel fans will rejoice but mums, if you were thinking of taking all your kids to see this be aware that this is not like a Spiderman movie. 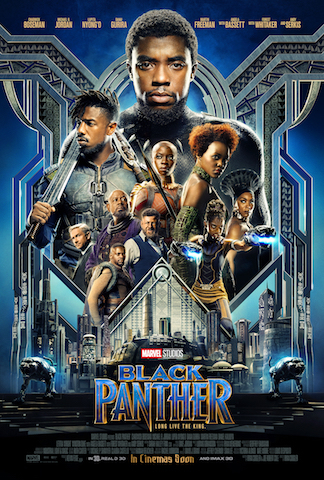 Officially Black Panther has a 12 Certificate but I would suggest not taking children younger than 13 to see this film. Some fighting scenes can be quite gruelling. As a rule of thumb, if it’s hard for me to watch some scenes, it is also for children under 13. 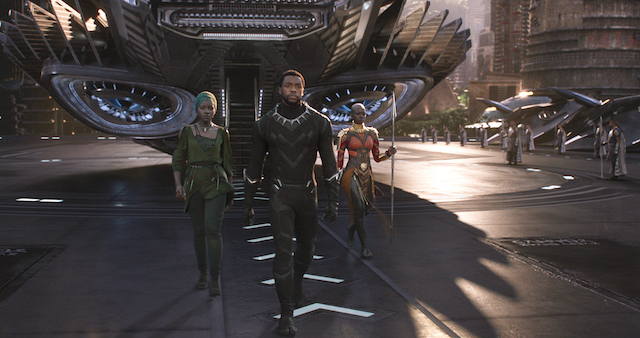 Marvel Studios’ Black Panther follows T’Challa who, after the death of his father (shown in Captain America: Civil War, from 2016), the King of Wakanda, returns home to the isolated, technologically advanced African nation to succeed to the throne and take his rightful place as king. But when a powerful old enemy reappears, T’Challa’s mettle as king—and Black Panther—is tested when he is drawn into a formidable conflict that puts the fate of Wakanda and the entire world at risk. 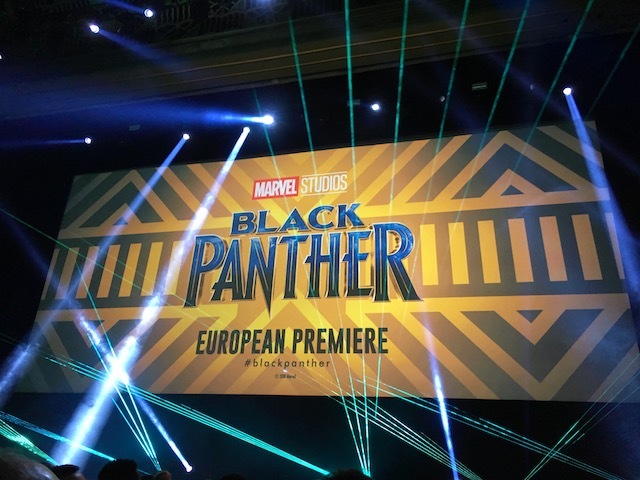 Black Panther is the latest big-screen superhero action-adventure produced by Marvel ahead of Avengers: Infinity War out later in the Spring. 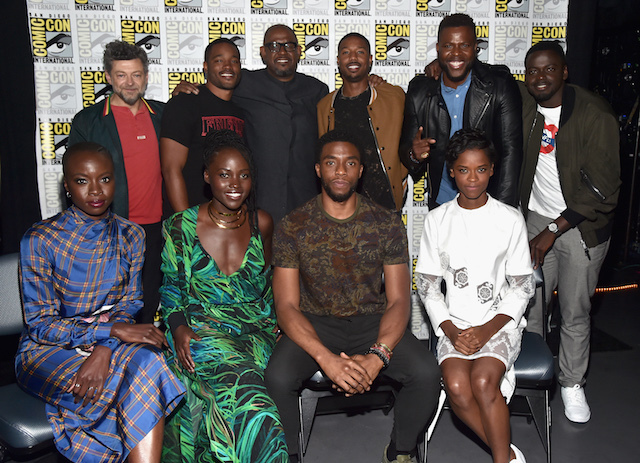 In a big year for Marvel, Black Panther brings diversity to Hollywood at all levels: some of the best black talents from all over the world in one movie as well as some of the best badass female heroes and warriors after Wonder Woman. In the Marvel Universe the Black Panther legend origins from the comic books written by Stan Lee and illustrated by Jack Kirby in 1966 and is characterised by a unique afro-futuristic vision of the world that is still very powerful and current. 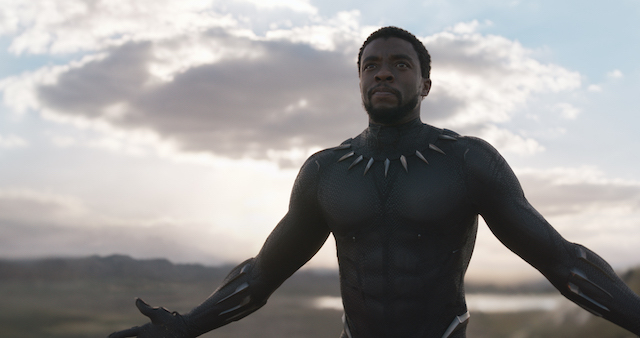 The main character T’Challa aka the new King of the fictional African State of Wakanda, aka Black Panther is played by Chadwick Boseman who is incredibly handsome and exceptionally good in his performance as a sensitive but also strong leader who can listen to his people and question his own education. He becomes the King of a country which apparently is very poor but, in reality, it is hidden under a technological camouflage to avoid being seen by Western powers who would then try to steal mystery metal, vibranium, that supplies limitless energy and allows them to be so advanced compared to the rest of the world. 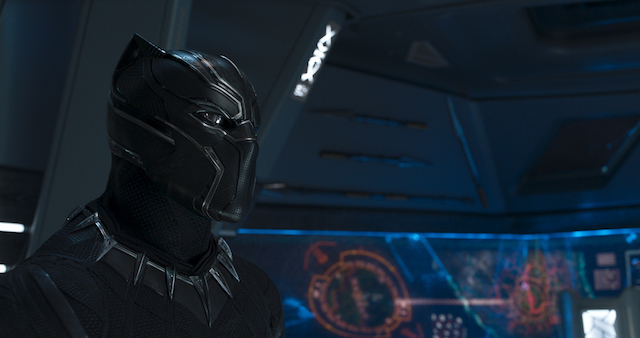 It is that energy that also powers the bodysuit worn by Black Panther, which we have seen for the first time in Captain America: Civil War. 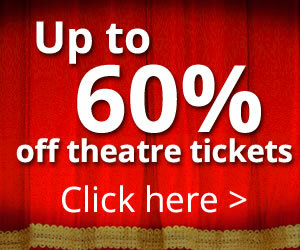 This movie is very watchable thanks to the performances of the stars. For the first time in a movie, I loved all the main characters including the villains. 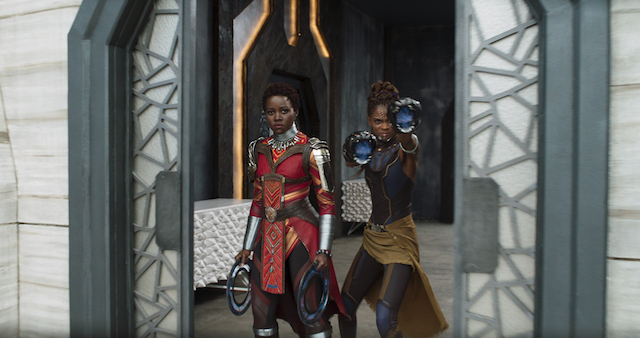 Lupita Nyong’o as badass Nakia, an intelligence agent from Wakanda who has a good heart and lots of ideals to save the world from evil and poverty, is excellent and she is a true black heroine with whom Black Panther is in love. The King’s tech-savvy little sister Shuri (Letitia Wright) is a geeky badass scientist with a love for technology to run a perfect state. 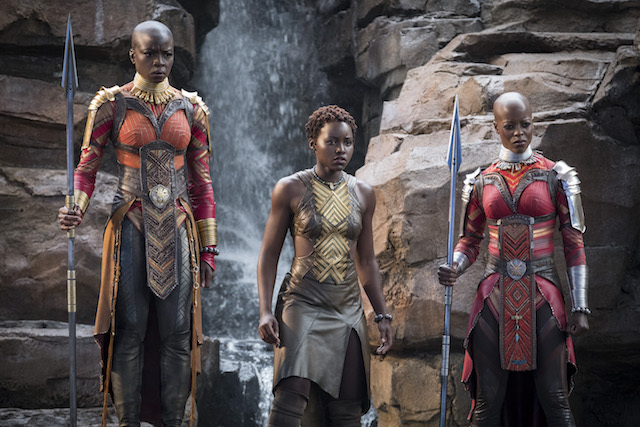 The all-female royal guard is led by Walking Dead star Danai Jekesai Gurira who is an American actress of Zimbabwean ancestry. She is a real badass as well and shows real fighting skills. 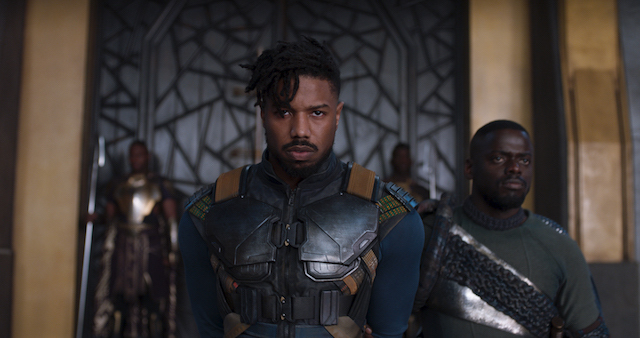 One of the leading black male characters is played by Michael B Jordan, who is a handsome villain called Erik Killmonger. He was the son of T’Challa’s uncle who was killed by his brother for wanting to spread the knowledge of Wakanda’s technological superiority and help oppressed Africans all over the world. Erik is violent and does not have a leader’s qualities but claims his rights to Wakanda’s throne and challenges Black Panther. Angela Bassett is Black Panther’s mother Ramonda. Forest Whitaker plays the role of the loyal government advisor and shaman figure Zuri who performs magical rituals to strengthen his Kings’ powers. Daniel Kaluuya who plays tribe chief W’Kabi, goes on a journey in this movie and from being loyal to his King, he starts following the man of the moment when Black Panther is overruled. Martin Freeman plays a very credible CIA officer, Everett Ross, who finds himself in the middle of a royal crisis in Wakanda. His American accent is very good, although I prefer him as an Englishman. He is the only other main white character along with South African actor Andy Serkis who plays ruthless criminal Ulysses Klaue determined to steal Wakanda’s vibranium and sell it to various countries. 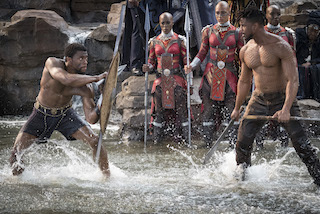 The scenes of T’Challa’s coronation are vibrant with colourful African costumes and ancient ethic combat rituals that contrast with the technology used in Wakanda as well as the special effects used for the aerial fights. It wouldn’t be a Marvel blockbuster without a quick Stan Lee’s cameo (he plays a croupier in a scene during the movie) and a few teaser scenes between the credits at the end. My favourite teaser is the last one where we see Bucky, aka Winter Soldier, recovering from his past memory issues in Wakanda with Shuri (Letitia Wright) at his side. Brilliant ending which makes the wait for the Avengers: Infinity War movie even longer (it is released in UK cinemas on 27 April). Meantime catch up with Black Panther out in UK cinemas on 12 February 2018. 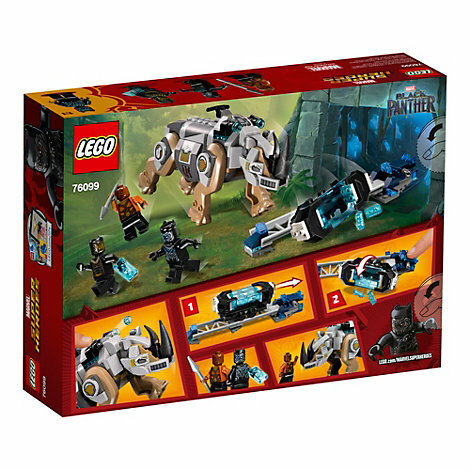 London Mums’ favourite movie tie-in toys are from LEGO particularly the LEGO Black Panther Rhino Face Off Set (76099) which has mini figures of all main characters – Black Panther, Okoye and Killmonger – to play a pretend battle like in the film. 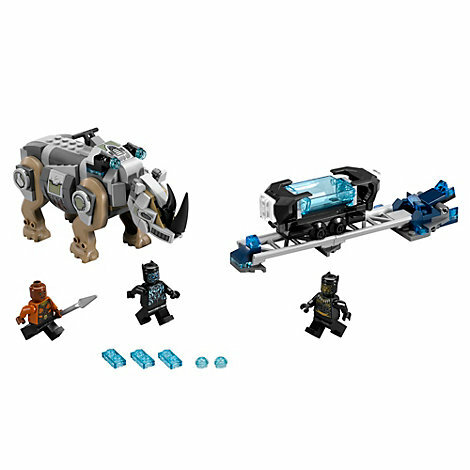 This 229 piece set is quite big and good value at £19.99. Children have enough pieces in the box to recreate moments from the movie. 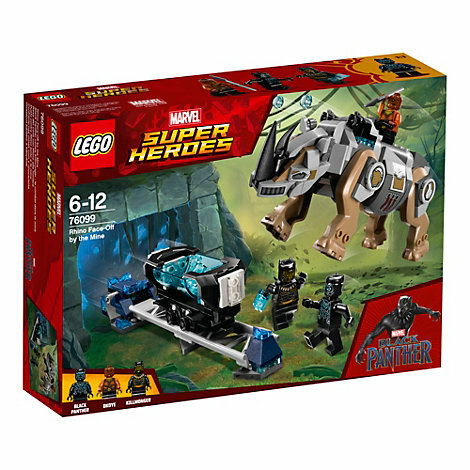 The mining cart has a tipping function and comes with translucent-blue vibranium nugget elements which are very realistic. This is the beauty of LEGO sets: they are so well made and encourage imagination games, on top of the construction playing. Kids can activate the rail track’s explode function to knock over the cart. This box is suitable for children aged 6-12 so even if children won’t be able to watch the film, they will still be able to play with characters from the comic books. This entry was posted on Friday, February 9th, 2018 at 12:32 pm and is filed under Movies. You can follow any responses to this entry through the RSS 2.0 feed. Both comments and pings are currently closed.